Ljubljana, Slovenian territory: Ambasada Rog is a community space run for the last two years by refugees, activists, journalists, cultural workers, lawyers, unemployed, parents and everyone who believes in solidarity and the power of a community. We understand Ambasada Rog as a space of mutual support and we all work on a volunteer basis. Our work includes numerous activities: daily, we cook and provide a free meal for 20-25 people, we provide social and legal support to asylum seekers; we organize campaigns and protests, as well as educational workshops and events like exhibitions, concerts, dance classes and excursions. Originally published by Ambasada Rog. Since we wish to remain politically independent, we work outside the institutional framework and rely mostly on our solidarity network and our supporters. They are the ones who most effectively participate in our efforts. We invite you to become part of this network and support our work with your contribution. Any donation is welcome and it will be fully used for our activities. Most of the expenses go for cooking free meals and offering social support to migrants and asylum seekers, who are left without basic means. Our activities take place in the Autonomous Factory Rog, a former bicycle factory which has become a complex community with over fifteen active collectives and spaces. Since 2016 the space is under threat of eviction by the municipality which also filed a lawsuit against eight activists. A small part of every donation is thus also used to cover the legal expenses which allow us to continue using this space. Your support will enable us to continue with our activities – to mutually create an open community and confront our country’s most inhumane policies. For all our activities please visit our Facebook page as it is the best source of daily updates and on our work. 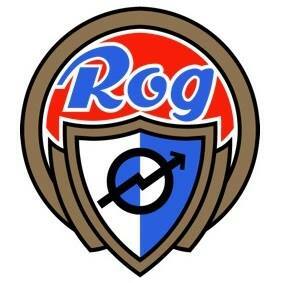 Or come visit us at Rog factory in Ljubljana! Previous post: Reportback from YellowVests actions on December 22 in #Nantes: An Upgrade for Christmas?